With the new cobas Epidermal Growth Factor Receptor test, doctors at some public hospitals are now able to detect the presence of gene mutations. SINGAPORE: Non-small cell lung cancer is the most common form of lung cancer, accounting for about 90 per cent of cases. About half of non-small cell lung cancer is linked to a genetic epidermal growth factor receptor (EGFR) mutation – affecting mostly female non-smokers. It causes cells to grow uncontrollably, and to be resistant to conventional cancer treatments like chemotherapy. In Singapore, there were about 6,400 cases of lung cancer diagnosed between 2008 and 2012. It is also the top killer cancer in Singapore. It is the second most common cancer among men and the third most common cancer among women. But with the new test — the cobas Epidermal Growth Factor Receptor test — doctors at some public hospitals are now able to detect the presence of mutations. The public hospitals are Tan Tock Seng Hospital, Khoo Teck Puat Hospital and the Ng Teng Fong General Hospital. A small slice of tumour tissue from a non-small cell lung cancer patient is tested. DNA is isolated from a patient’s tumour cells. It is then mixed with reagents that detect the mutated gene. This reaction is then measured to confirm the mutation. This will allow the doctor to customise treatment for the patient. Dr Brendan Pang, consultant at the Department of Pathology in National University Hospital, explained: “The test is more sensitive and will pick up EGFR mutations from tissue samples that contain fewer tumour cells than is currently acceptable when direct sequencing is used. Test results can also be obtained on the same day or the next compared to the current three to five working days. 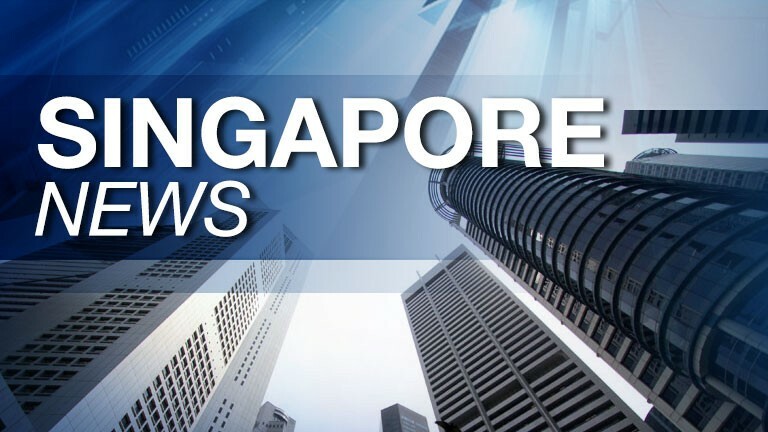 via New lung cancer screening test can detect gene mutation – Channel NewsAsia. Lung cancer rates among women in the UK have risen by 73% since 1975, while falling by 47% among men. Cancer Research UK, which has released the figures, says the changes are because of contrasting trends in smoking habits in men and women. The charity says the proportion of men who smoke has been declining since the 1950s, while figures for women did not start to drop until the 1970s. Overall, lung cancer rates across the UK have fallen by 20% since 1975. The latest figures show there were around 43,500 cases of lung cancer in the UK in 2011 – approximately 23,800 men and 19,700 women. In the same year there were around 35,200 deaths from lung cancer, including 19,600 men and 15,600 women. Dr Harpal Kumar, chief executive of Cancer Research UK, said the figures provided a “stark reminder” that lung cancer remains a big challenge and called for a renewed effort to tackle the disease. The new figures reveal that rates of lung cancer among women now stand at 41 women in every 100,000, up from 23 in every 100,000 in 1975. For men, the lung cancer rate is now 59 in every 100,000, down from 112 per 100,000 people in 1975. The highest rates in England are found in the north, while the lowest rates are in the east, south-east and south-west. In Scotland, lung cancer rates in women have almost doubled over the past 40 years and are among the highest in the world. Lung cancer remains the second most common cancer in the UK and the biggest cancer killer. Around 87% of cases are attributable to smoking. “We need to improve awareness of the possible signs and symptoms of lung cancer and urge people – especially those at increased risk – to go to their doctor without delay if they spot any symptoms,” said Cancer Research UK’s director of early diagnosis Sara Hiom. 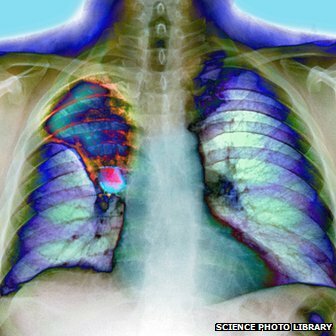 Fewer than 10% of people diagnosed with lung cancer survive for five years or more after diagnosis, Cancer Research UK says. “These figures provide a stark reminder that lung cancer remains one of the biggest challenges in cancer research,” Dr Kumar said. “The disease kills more than twice as many people as the second most common cancer killer – bowel cancer – and this looks set to continue unless we all do more. Dr Kumar said the charity wanted to make the UK “a leader in lung cancer research”. via BBC News – Lung cancer rates among women in the UK increase by 73%. A breast cancer drug is set to be the focus of a new clinical trial for patients with lung cancer. 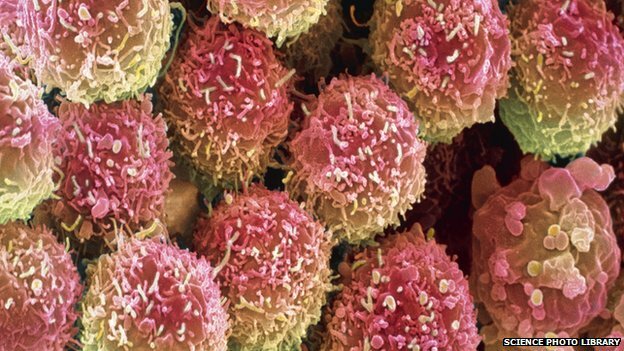 Experts in Cardiff want to know if the treatment can help those with the non-small cell form of the disease. They hope to recruit 100 patients to the second phase of tests being coordinated by the Wales Cancer Trials Unit at Cardiff University. About 42,000 people are diagnosed with lung cancer every year in the UK. The drug being tested is called Olaparib, and is a member of a class of medicines called PARP inhibitors which target cancer cells. It will be given to patients who have non-small cell lung cancer (NSCLC) after they undergo chemotherapy treatment. It is thought that about half of those patients with this type of lung cancer develop a fault in the way their cells repair themselves, and it is hoped the treatment will kill off the cancer before it can grow again following chemotherapy. The project is being funded by the charity Cancer Research UK and the pharmaceutical firm AstraZeneca, through the National Cancer Research Network. Kate Law, director of clinical research at Cancer Research UK, said: “It’s through research that we’ve seen how this PARP inhibitor could be effective in other cancers that have faults in their DNA repair mechanisms. “We’re now taking this knowledge from the lab to see if and how it can help cancer patients. “We’re increasingly seeing that drugs originally designed for one type of cancer are proving to be effective for many other types,” she said. The trial will recruit over 100 people with advanced non-small cell lung cancer at 25 hospitals around the UK. Prof Dean Fennell, the chief investigator based at the University of Leicester, said: “We urgently need better treatments for patients with lung cancer – just 30 per cent of them survive for a year after being diagnosed. 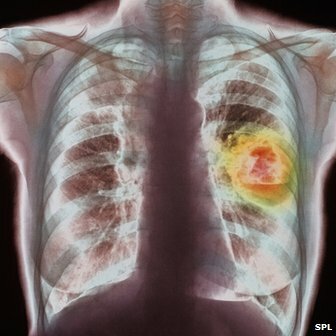 via BBC News – Lung cancer drugs trials start at Cardiff University. The number of lung cancer cases in the Chinese capital Beijing has soared over the last decade. According to figures published by the state-run Xinhua news agency, they have increased by more than 50%. Beijing health officials say smoking is still the number one cause of lung cancer, but they admit air pollution is also a factor. The World Health Organization (WHO) recently estimated that polluted air kills millions of people every year. Xinhua said the latest figures – which are for only one city and one disease – were issued by Beijing municipal health bureau. They show the number of lung cancer patients per 100,000 people was 39.56 in 2002, but had jumped to 63.09 by 2011. The article gave no reason for the increase in patients. Beijing health officials said lung cancer was linked to lifestyle choices, with smoking still the top cause. But they said passive smoking and air pollution could also be a factor. Last month the WHO issued a scientific report detailing the link between air pollution and a number of different diseases and illness. It estimated that breathing in fine particles contributed to 3.2 million premature deaths a year across the world and killed more than 200,000 from lung cancer. “More than half of the lung cancer deaths attributable to ambient fine particles were projected to have been in China and other East Asian countries,” said the WHO. 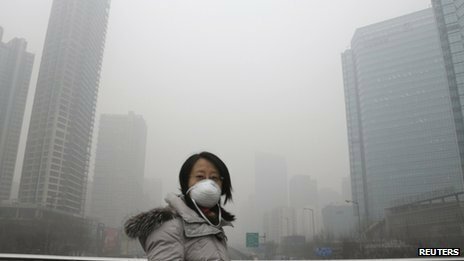 Correspondents say Chinese people are becoming increasingly worried about the health problems caused by the thick air pollution that often blankets much of their country, a result of rapid economic expansion coupled with poorly enforced laws designed to protect the environment. Earlier this week it was reported that a eight-year-old girl in Jiangsu province had become the country’s youngest lung cancer patient. Air pollution was blamed. The hospital that was supposed to be treating her denied the reports, but the outcry caused by the story shows just how concerned people have become. via BBC News – Smoggy Beijing sees lung cancer cases soar. A 12-year study in Singapore has found that advanced stage lung cancer patients are surviving up to four months longer. SINGAPORE: A 12-year study in Singapore has found that advanced stage lung cancer patients are surviving up to four months longer. The study was conducted by the National Cancer Centre Singapore (NCCS) between 2001 and 2012. It tracked 5320 lung cancer patients for about 12 years. The study found that the year 2005 was the turning point for median survival rates. Between 2001 and 2004, patients saw an overall survival rate of about eight months after being diagnosed. From 2005, they were surviving up to 12 months after diagnoses, an increase of about four months. The NCCS said this can be attributed to more effective and targeted chemotherapy, and a better understanding of the variations of advanced lung cancer. The findings are in line with Lung Cancer Awareness Month, which falls in November. Dr Daniel Tan, a consultant at NCCS’s Medical Oncology Department, said: “At the moment, at least in the advanced setting, these additional chemotherapy drugs do help prolong the duration of the disease control. via Advanced stage lung cancer patients surviving longer – Channel NewsAsia. An eight-year-old girl has become China’s youngest lung cancer patient, reports said, with doctors blaming pollution as the direct cause of her illness. BEIJING: An eight-year-old girl has become China’s youngest lung cancer patient, reports said, with doctors blaming pollution as the direct cause of her illness. The girl, whose name was not given, lives near a major road in the eastern province of Jiangsu, said Xinhuanet, the website of China’s official news agency. It quoted Jie Fengdong, a doctor at Jiangsu Cancer Hospital in Nanjing, as saying she had been exposed to harmful particles and dust over a long period of time. Lung cancer cases among children are extremely rare, with the average age for diagnosis at about 70, according to the American Cancer Society. But the incidence of the disease has skyrocketed in China as the country’s rapid development has brought with it deteriorating air quality, particularly in urban areas. Lung cancer deaths in China have multiplied more than four times over the past 30 years, according to Beijing’s health ministry. Cancer is now the leading cause of death in the smog-ridden capital. 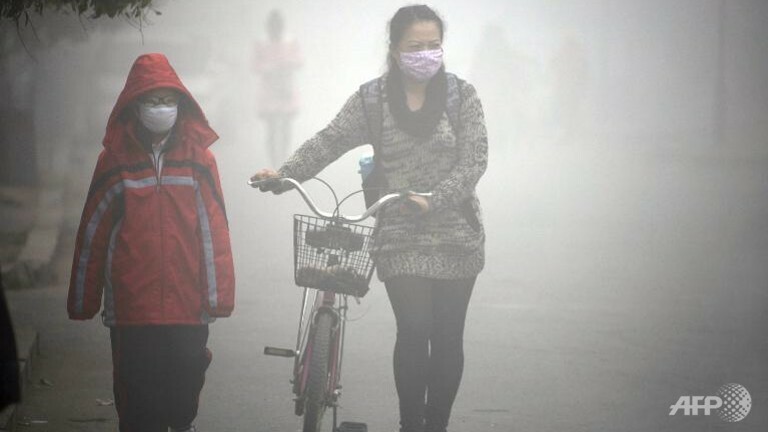 The report of the eight-year-old girl’s diagnosis comes after choking smog enveloped the northeastern city of Harbin two weeks ago, bringing flights and ground transport to a standstill and forcing schools to shut for several days, with visibility in some areas reduced to less than 50 metres. At the height of the smog, the city’s levels of PM2.5 — the smallest, most dangerous type of airborne particle — reached 1,000 micrograms per cubic metre, 40 times the World Health Organization’s recommended standard. High levels of PM2.5 have been linked to health problems including lung cancer and heart disease. via Girl, 8, is China’s youngest lung cancer case – Channel NewsAsia. Offering genetic testing to lung cancer patients can potentially save lives, research suggests. A study of 5,000 patients found genetic profiling of lung tumours boosted survival rates through better targeting of chemotherapy drugs. The findings, reported in Science Translational Medicine, pave the way for personalised medicine. Cancer Research UK said matching patients to a personalised treatment is still in its infancy. The standard way to diagnose lung cancer is to look at cells from a tumour under the microscope. On this basis, lung cancer can be classified into different tumour types, which helps doctors make decisions about the best treatment to offer. However, in recent years scientists have made progress towards understanding how cancer can be better treated by matching drugs to the genetic make-up of a tumour. A team led by Dr Roman Thomas, of the Max Planck Research Group in Cologne, Germany, carried out genetic testing on lung tumour samples from about 5,000 patients to spot genetic differences in lung cancer cells. They found that while some tumours look similar under the microscope, they actually belong to different subgroups. 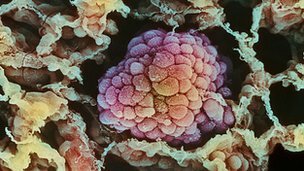 Patients who received therapy based on genetic profiling of their tumours had a better prognosis, the study revealed. Diagnostic genetic testing of lung cancer, combined with tailored treatment, may improve patient survival in the future, say the researchers. “Our findings provide support for broad implementation of genome-based diagnosis of lung cancer,” they report in Science Translational Medicine. Commenting on the research, Dr Sarah Hazell, Cancer Research UK’s senior science information officer, said the way scientists think about cancer is changing. “This research highlights a growing trend of using drugs matched to the individual genetic profile of a tumour,” she said. Some 42,000 people have lung cancer diagnosed in the UK annually, with about 35,000 deaths from the disease. Lung cancer is often diagnosed at a late stage, which makes it difficult to treat. via BBC News – Genetic testing raises hope for lung cancer treatments.